If you’re looking for a bright orange lip color for summer then I suggest Timanfaya from the NARS Satin Lip Pencil line. The color is described as a mandarin red-orange on Sephora’s website. The Satin Lip Pencils have a very emollient slippery texture that glosses over the lips and disguises any dryness. They are not overly shiny like a gloss. Timanfaya in particular leaves a stain as the initial finish wears away. What are your favorite NARS Satin Lip Pencil shades? Is this the sort of color you favor in the summer? Love the color on you! It's a shame that I don't have orange-reds like this one yet! I must say that you look so beautiful and the color fits you perfectly. I don't own any nars satin lip pencil but I'm a lipstick addict so I have a few of the audacious lipsticks and the regular one as well. I want to try the Audacious formula very badly! I'm very impressed – it looks so lovely on you considering it's a pencil rather than lipstick! this is such a great shade, it looks fantastic on you! i really want to try out more of the lip pencils from nars, they always look gorgeous. I am so loving that colour ! Oooh, it looks amazing! I've never tried any of the NARS Satin Lip Pencils but I will now! This is gorgeous on you! I love the makeup look you did with it as well 🙂 The NARS Satin Lip Pencils have such a fantastic formula and they are certainly staining! Such a beautiful, vibrant colour and it suits your complexion so so well 🙂 I've not tried the NARS Lip Pencils but a makeup artist friend of mine uses it for her brides and it always looks amazing. This is your color, girl! Wow! Such a beauty! ohh that colour is gorgeous! 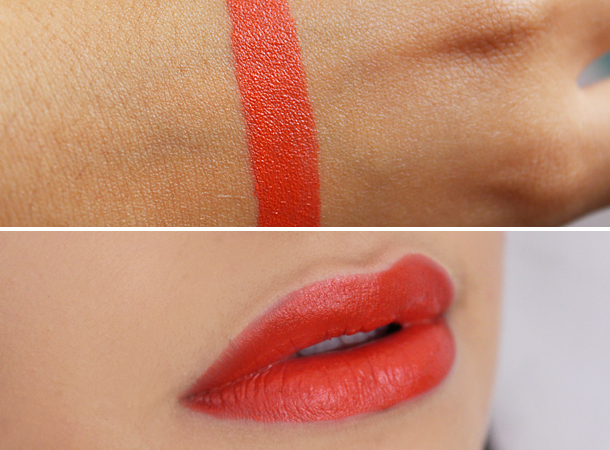 like the satin and slightly more orange version of red square from the matte line. i don't have any of the satin ones yet but i'm going to have to take a look at this! 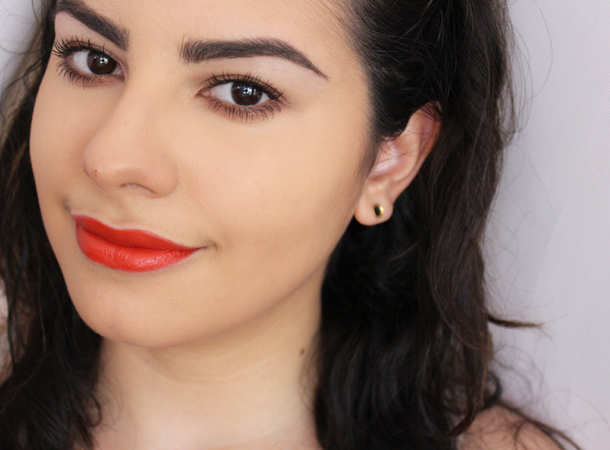 I'm constantly trying to make orange lips work on me, but it's clearly a color you can pull off very well! Timanfaya looks gorgeous on you!